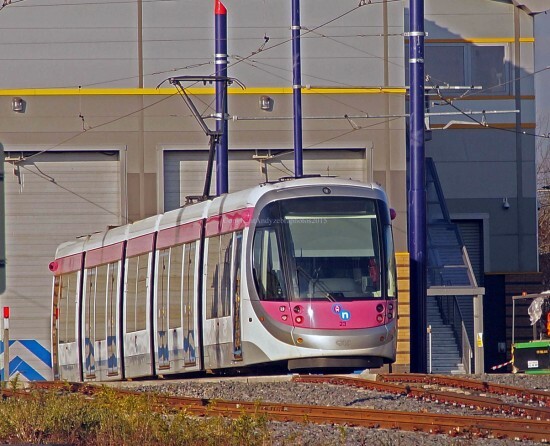 Late on Thursday 12th February Urbos 3 35 arrived at the Wednesbury Depot becoming the 19th of the class to be delivered to the UK. 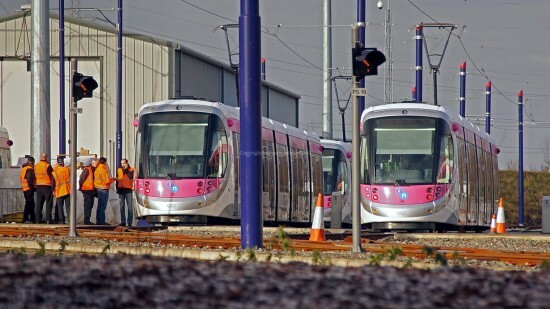 The tram was reassembled (as with all deliveries it arrived in two sections) the following day and was then moved into the Workshops for commissioning works ahead of a start of full testing and mileage accumulation. 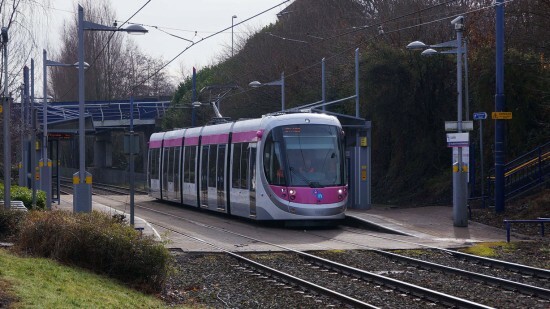 No further Urbos 3s have entered service since 27 first carried passengers on Monday 2nd February and so there remain 10 available for service but that elusive first full weekday service in the hands of the new breed is still awaited. 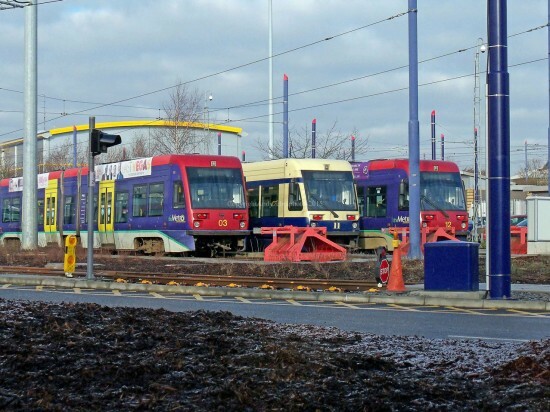 Both 33 and 34 have been out on the main line in recent days undergoing mileage accumulation works but both these trams are some way from being cleared for service. Meanwhile it now seems confirmed that T69 12 has joined the ranks of the withdrawn. It was last noted in service on 30th January and by Monday 2nd February it had been stabled at the bottom of the depot yard alongside 03 and 11. Fellow T69 06 remains out of service (last operated 6th February) but has now received the centre bogie off 12 and so is expected to return to service soon. The makeup of the service remains unpredictable with some days seeing all the available T69s in service and other days seeing a much more Urbos 3 based service. There is still no official word as to when the last T69 will be withdrawn but if and when we heard anything we will report it here! 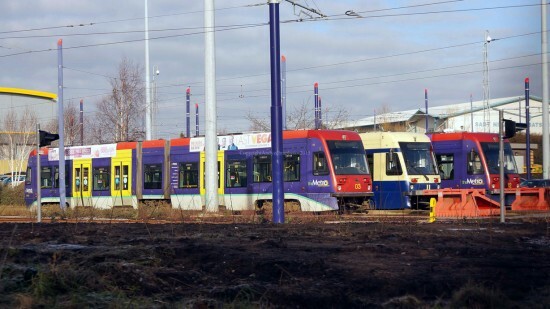 Two images showing the withdrawn three T69s at the bottom of the depot yard: 03, 11 and 12. 23 at the depot undertaking some testing around the depot loop track. 29 is inspected alongside recent arrival 34. Units running on 20th Feb were as follows:-4,5,6,8,9,10,12,16,18,19,22,23,24,25,26 with 30 moving on depot. 31 is in full service on route yesterday.